Previously we talked about Linux Dash. Cockpit is a GNU/Linux Server Management & Graphing Tool Which is Very Easy to Install by a New Too. We can Install Cockpit on Ubuntu Server. Linux Dash is no way closer to Cockpit for the integration with command line, ease of usage and cluster management. Cockpit project not many years ago launched, it aimed at providing a web based management interface. It already delivered a good impression for the simple management tasks and the design is actually good. Cockpit has continually updating graph showing load, memory usage etc. You can view the system log, systemd managed control services and set up or manage the user accounts of the system. With more than one machines, one can integrate this installation in a central cockpit and administrate his computer of this Center. Cockpit project does not want to deal with the service configuration but just with the service state. Cockpit does its things reliably – since systemd simply offers a possibility, or not. Other web based solutions pushes a tougher decision to co-administrate the system manually via the shell as well as use a GUI tool. Their web page states three tart – a friendly interface, a multi server management and no interference in mixed usage of web interface and shell. Normally none of us use Webmin, it is asking to hack the websites. Same goes even for PHPMyAdmin. Cockpit has the requirement of tools like systemd which limits the usage to only GNU/Linux, some manual steps are obvious. It can quickly show the current health state, provide logs, start and stop the services, create new users, switch between servers and has a rescue console. This Article Has Been Shared 6259 Times! Running Micro Cloud Foundry on localhost has the advantage of getting a standalone virtualized environment for testing purpose. Here is a brief startup guide. OpenStack Cloud Computing Software can be considered as a cloud infrastructure controller and technically better. SUSE Linux also seems to favor the path. No automated procedure yet exists for the preparation of inhomogeneous data. Here is the main difficulty for the dissemination of Big Data. Hardware is only one of the problems affecting the speed of network provisioning. There are also other parameters in Software Defined Network. Here is how to delete a table from MySQL database from Command Line Interface using MySQL drop database command. It is quite simple and easy. 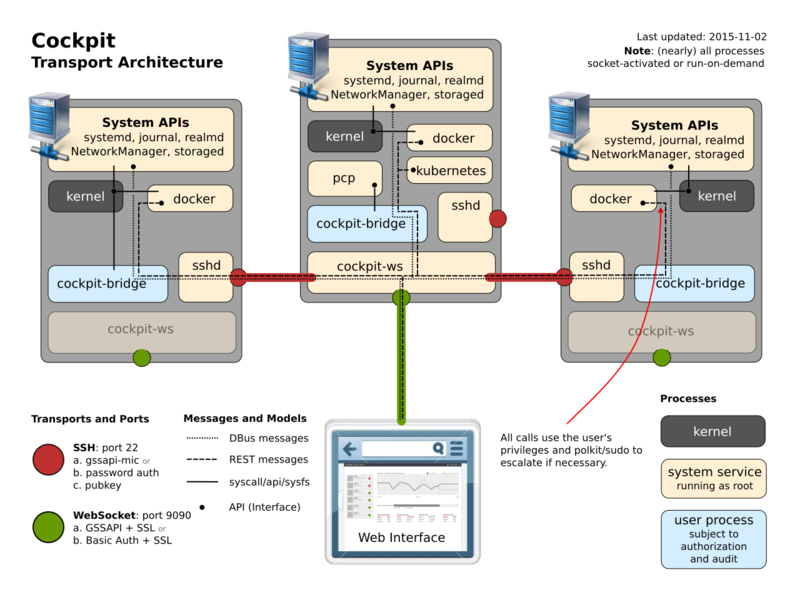 Cite this article as: Abhishek Ghosh, "Cockpit : GNU/Linux Server Management & Graphing Tool," in The Customize Windows, May 17, 2016, April 23, 2019, https://thecustomizewindows.com/2016/05/cockpit-gnulinux-server-management-graphing-tool/.